Father Matthew Kelty was an especially beloved monk at the historic Abbey of Gethsemani in Kentucky. Perhaps best known as Thomas Merton's colleague and confessor in the year prior to Merton's death, Father Matthew was also an enormously gifted spiritual writer in his own right, one whose homilies at Gethsemani attracted a wide following. 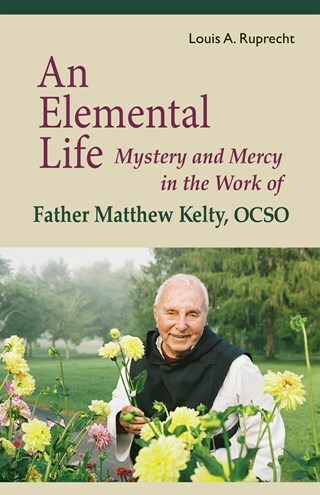 This is the first book-length study of Matthew Kelty's life in relation to his spiritual writings and his profound reflections on the virtues of the monastic life in the modern age. Louis A. Ruprecht Jr. is the inaugural holder of the WiIliam M. Suttles Chair of Religious Studies in the Department of Anthropology, as well as the director of the Center for Hellenic Studies, at Georgia State University. He is a permanent research fellow at the Vatican Library and Secret Archives and the author of eleven previous books and more than fifty scholarly essays and book chapters. "Those of us who have lived in community with Fr. Matthew will readily recognize here the true features of this multifaceted monk. The best of his deep insight and intuitive mind are brought together and set forth in their full spectrum of wit, faith, imagination, freedom, and devotion."